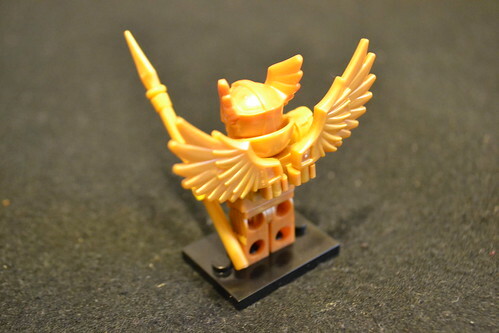 This Flying Warrior has a golden armour, golden wings and golden spear. 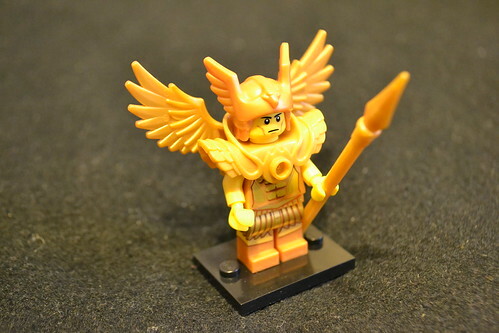 It's so golden it will definitely make an excellent golden statue in an ancient civilization MOC at the height of its power. The helmet is quite a unique piece - for some reason the word 'Nordic' comes to mind. The breast plate if begging for a stud - I'll find a yellow or golden one to complete it. 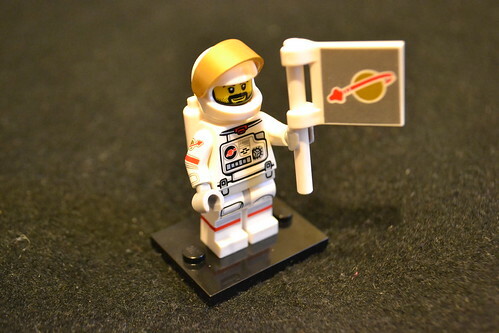 Got the Astronaut! Hmmm... I think we got the logo upside down. That can be easily fixed. Anyway, look at the marking on his suit. It's more detailed than the regular uniforms. Really cool. We were excited to get Clumsy Guy. 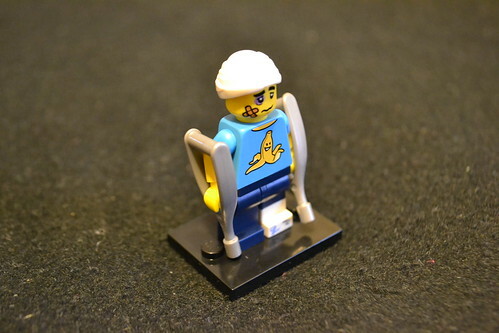 I mean, how often does one get a minifig with an injury? The crutches are unique, and so is the leg with the cast, and the bandage on his head. The kids were able to get the back story on this guy in one glance - he slipped on a banana. I wonder how they were able to figure that out. 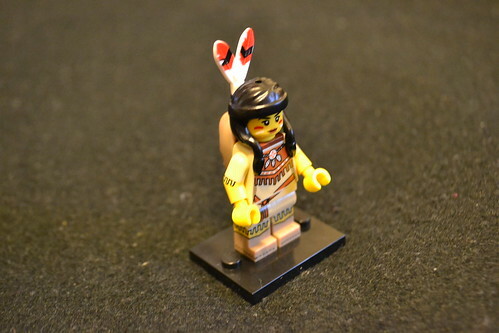 The Tribal Woman is an interesting minifig - we spent a considerable amount of time examining the hair piece. There is a slot where you insert the feather attachment in, but the other curious thing is that it has a hole right on top. What is it for? 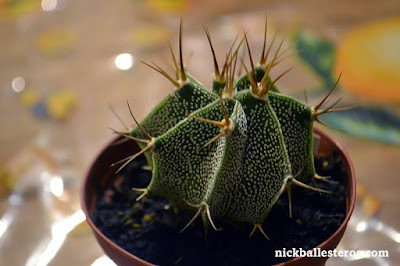 I think it's in case a toddler accidentally swallows this - there'd be a hole that will allow for breathing. But that's just a guess. 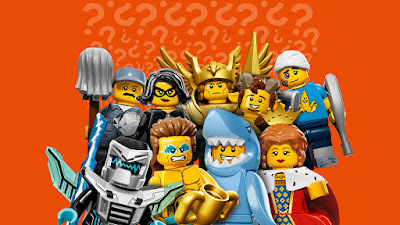 The baby is a nice addition to this minifig. 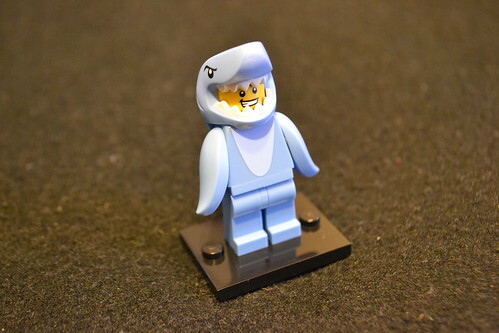 This Shark Suit Guy is even better than I imagined. 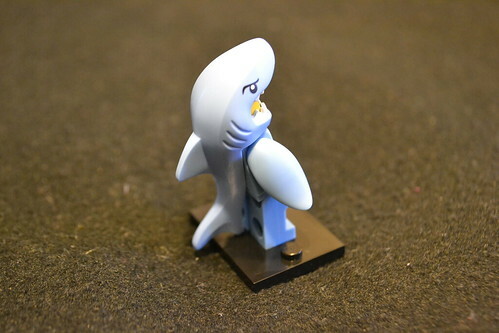 The front looks like a penguin-shark combo, but view it from the side and back and you see a nicely detailed headpiece. It's awesome. Finally, there's the Laser Mech. 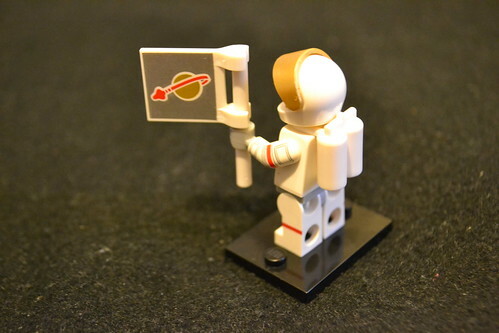 This one has a surprising number of pieces. It's mostly to build the armour and wings. Actually, my son recognized this mould as having been used with another minifig he already has, which he brought out to compare. 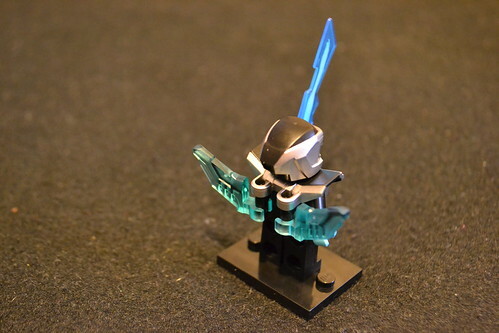 Yup he has a minifig with a similar build from the Galaxy Squad. 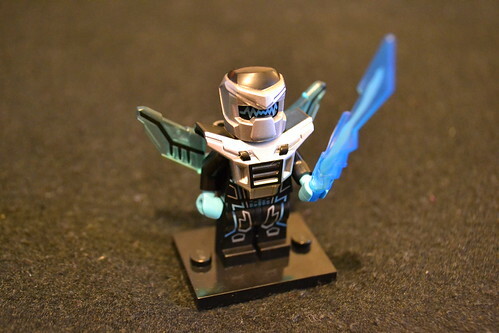 Nevertheless, he likes this minifig primarily due to the translucent wings and sword. And that's our haul. We might try to get a couple more for the Queen and the Faun.